We have this amazingly abundant fig tree giving us these beautiful mission figs, and being new to owning a fig tree, I was not sure what I could do with them besides fig jam, fig cookies, and figs with prosciutto. There was chicken defrosted for dinner .. maybe I could do something clever with these two ingredients? 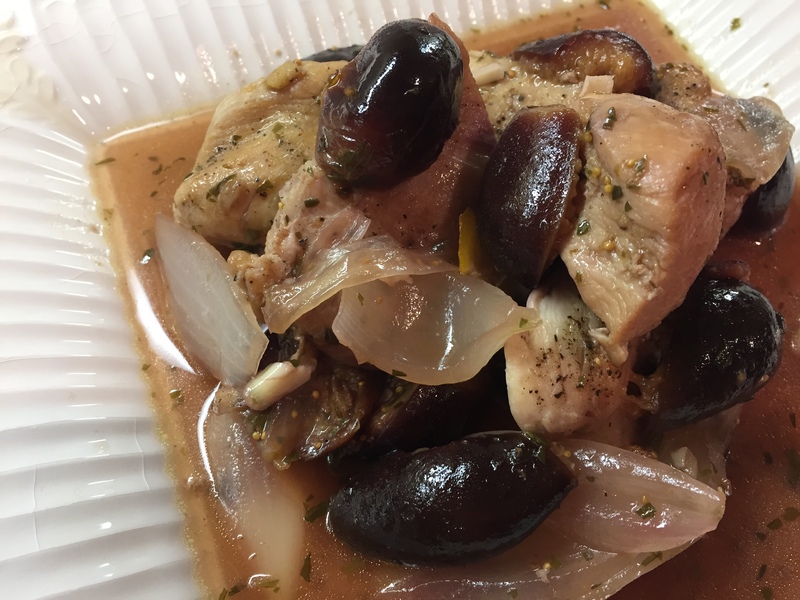 Searching the web, looking at various recipes, I created this simple dish, Chicken with Figs that was a combination of several ideas I culled from various recipes I found. This is super simple – hope you enjoy! Here’s to cooking, eating, laughing and loving! 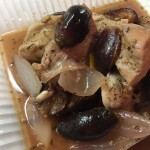 This entry was posted in Recipe and tagged 45 minute meals, chicken and figs, easy meals, figs, figs and chicken, One dish meals. Bookmark the permalink.